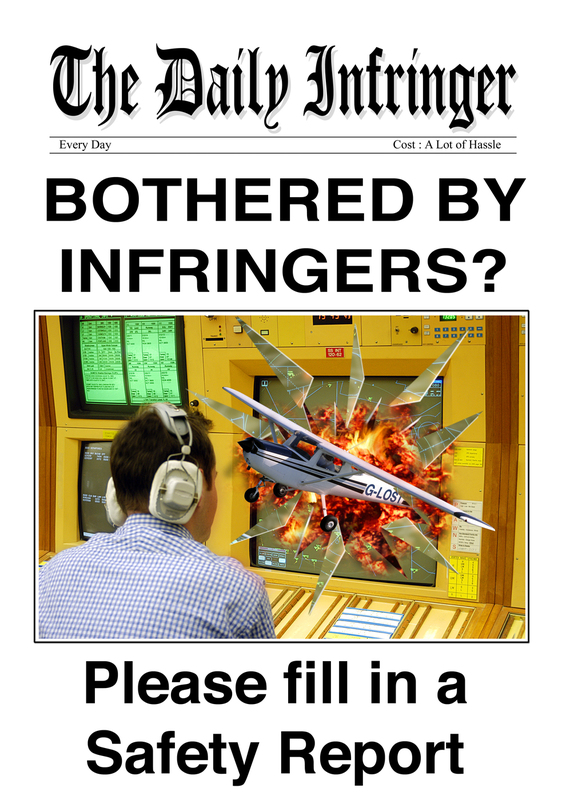 This was another poster for NATS relating to the problems of light aircraft infringing controlled airspace; this time it was aimed at getting Air Traffic Controllers to make an official report into any infringement, no matter how slight. 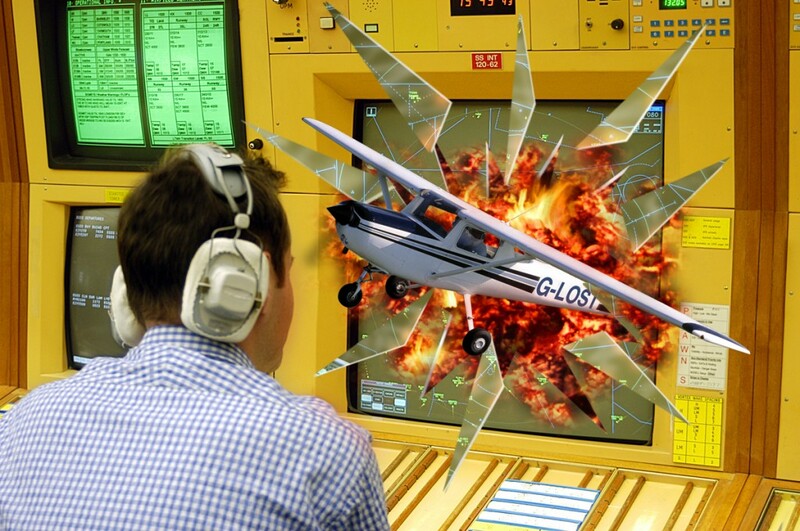 The image shows a light aircraft bursting through the radar screen, glass flying everywhere with the radar image still on the shards. This image was then incorporated into a spoof newspaper.